You still know what this is ? 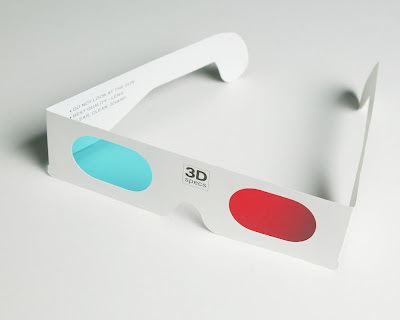 Yes, red/cyan glasses for viewing 3D stuff. I remember my father having a book 30 years back with theses images. So, this stuff is not exactly new, but lots of fun to experiment with ! I am not sure how to produce these anaglyph pictures before the digital age with "home" tools. At that time photographers were (are still?) using stereolenses (check Loreo at link) or a 2 camera-setup and looked at them with special stereo glasses. Check out this equipment at 3D Concepts (link). I am currently reviving this technology in panoramic terms but with a digital workflow, and because its digital, I move over with this topic to my digital panorama blog at panoramaxl.blogspot.com. Check out results there. Not sure if it is fair or if it even make sense to compare this 2 panoramic gears. This sturdy german product made of metal allows you to very! smoothly turn with light- and heavyweight cameras. It has no stops but a scale from 0 to 360 degree in steps of 10. 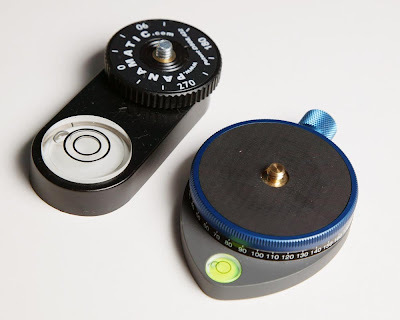 This piece of plastic, which is completely overpriced, turns in steps of 30 degree and allows you to cover 360 degree in 12 steps. It is made for very light consumer cameras working at a fix wideangle setting only. It is patented (!?). Conclusion: Both products make more sense in a digital workflow. I would always prefer the professional product because of its sturdiness and accurate and smooth rotating ability. A short visit and 171.20 SGD later the skilled EPSON engineer identified heavy clogging and a power clean (which stingy user avoid because plenty of ink goes into the maintenance tank) solved my problem. Maybe the most expensive cleaning I did so far. End of todays lesson !